Corollas come in many trim editions. What are the LE and LE Eco? Is one right for you? In this review, we’ll tell you about the standards on these two trims. 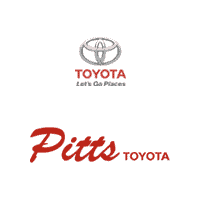 Then we recommend a test drive at Pitts Toyota dealer serving Dublin, GA. The LE Eco wears low-rolling-resistance tires. It also has a rear spoiler and other aerodynamic features. The LE steps up to bigger, 16-inch wheels. On both the LE and LE Eco, the windshield wipers add variable intermittent capability. In another nod to better visibility, the side mirrors can be heated. Bi-LED headlights are paired with LED running lights. These editions also provide keyless entry. With its automatic climate controls, the LE and LE Eco help keep you cool on a hot Georgia day. You can set the temperature, and the car will regulate the cold air for you. Metallic cabin accents are added to dress up the design. For 2017, Toyota upgraded the upholstery, raising the quality, feel and look of the seats. Entune includes a touchscreen with a wide range of menu options. The Corolla LE comes with an automatic transmission to complement the peppy engine. Good fuel economy helps pay you back for your new car purchase. If you pick the LE Eco, the engine and suspension are specially tuned for even better gas mileage. First in its class, Toyota adds a suite of safety features on all Corolla models, including the LE and LE Eco. This includes adaptive cruise control with a forward collision warning and pedestrian watch. Find the 2017 Toyota Corolla LE edition at Pitts Toyota dealer serving Dublin, GA.